We do not have to do with a “little God” or with a “little Jesus” but with “… the LORD our God who is God of gods, and Lord of lords, a great God, a mighty, and a terrible, which regards not persons, nor takes reward (De.10:12-17). The creation of the world: God is the Creator of the world, of the universe! Stop and think of it! Man can produce plastic leaves or flowers, but cannot give them life! He can produce robots, but cannot give them life! Only God can give life. HE is the only source of life! Man can produce many things, but can also destroy everything that has life in it, given by God! Stop and think! The forgiveness of our sins: “But there is forgiveness with you, that you may be feared” (Ps.130:4). How is it possible not to fear Him? What are we going to become if He does not forgive our sins? Make us, Father, we pray, in the name of our Lord Jesus, what You want us to be! The Bible says: “It is a fearful thing to fall into the hands of the living God” (Heb.10:31) and “[…] God is a consuming fire” (Heb.12:29). The respect and awe for God influence our lives. The fear of God and the love for God are not mutually exclusive. Children, as a rule, fear their parents, but, at the same time they love them. If these two elements coexist children grow normally and have a healthy physical, psychic and mental development. This is also true with our heavenly Father. Then, HE can bless us from all points of view. True believers teach their children the fear of God and the love of God because, “[…] the eyes of the LORD are on those who fear him, on those whose hope is in his unfailing love” (Ps.33:18). Israel’s act of unbelief at Kadeshbarnea: For an act of unbelief at Kadesh, the people of Israel erred for forty years in the desert and did not enter God’s rest! Let us therefore fear, lest we miss a promise being left also for us of entering into His rest, any of us should seem to come short of it… (Heb.4:1-6). Different Kings of Israel: How severely they were treated by God, who at the moment of danger, asked for the help of other heathen kings and/or concluded alliances with other wicked kings or sent to inquire of the gods of other nations to find out whether they were going to be cured from their sicknesses etc. (2Ki.1:2-8)! David, who suffered – in grace, because God had forgiven him of his grave sin and was not put to death – a multiple punishment… (2Sam.12:5-13). We should not also forget that David was afraid of God that day when the LORD poured his wrath on Uzza for an unimportant reason, in our eyes! David did not dare bring the ark of God in his home (1Chr.13:11-12). The lord counselor of the king who was trampled to death in the gate by the people because he did not believe that God could give food and deliverance to the people under siege (2Ki.7:1-20). Esau, who could not find a place of repentance, although he sought it carefully with tears, because for one morsel of meat he sold despitefully his birthright (Heb.12:16). Nebuchadnezzar, who ‘paid’ with seven years of craziness a megalomaniac and arrogant thought… (Dan.4:30-33). Zachariah, who stayed dumb for months… because he did not believe the words of the angel which would be fulfilled “in their season” (Lu.1:18-20). Ananias and Sapphira! What a horrible end did they have because they told a lie and pretended to be spiritual! 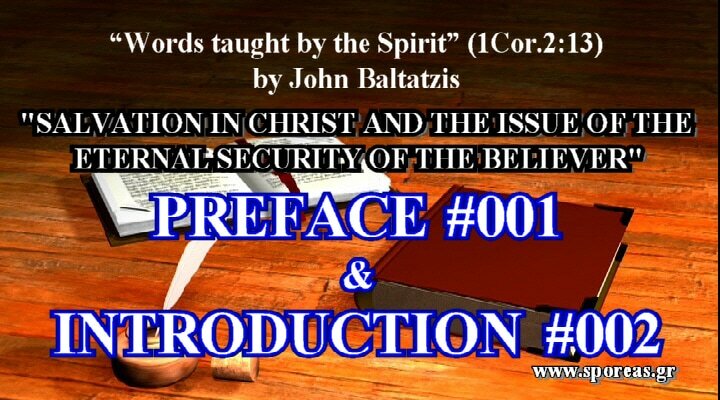 A lie which, in our eyes, is but a simple lie, but in God’s eyes, was a lie to the Holy Spirit! (Ac.5:1-11). The people of Israel how they were chastised for their sins! And what about the word it said: “… His blood be on us, and on our children” (Mt.27:25 and 23:35). The people “paid” for their sins along the past centuries. And in the 20th century, with the holocaust that Hitler committed. God will judge us for every idle word… but he will also reward us even for a cup of cold water given to one of his little disciples just because he is His disciple… Who can, therefore, despise the day of small things? (Mt.12: 36-37; 10:42 and Zec.4:10). Pride, lies, violence, injustice, unbelief, conspiracy, malice, meanness, discord, etc. It is written in the Word of God: “These six things does the LORD hate: yes, seven are an abomination to him: A proud look, a lying tongue, and hands that shed innocent blood, an heart that devises wicked imaginations, feet that be swift in running to mischief, a false witness that speaks lies, and he that sows discord among brothers » (Prov.6:16-19). Abraham: Abraham’s godly fear led him to great faith and brought him to an act of obedience without precedent: To accept and take the decision to sacrifice his only begotten son (Ge.22:12)! As a result of Abraham’s godly choice sprang from him, who was as good as dead, so many descendants as the stars of the sky in multitude, and as the sand which is by the sea shore innumerable. 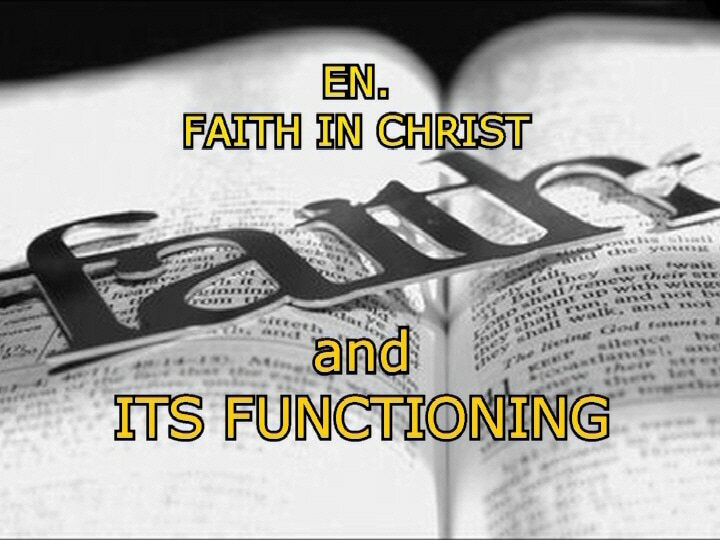 He became the father of faith and of all the faithful (Heb.11:8-12). Phinehas, for his act of zeal, justice and holy indignation against evil has remained as an eternal memorial… He was given a reward: A covenant of peace and of everlasting priesthood… (Num.25:7-13). Nehemiah, who, though a governor, did not ever want to be chargeable unto the people; he acted this way because of the fear of God! Godly fear and piety go together! What a mentality! May we, Lord, become men who are not chargeable or oppressive neither to our neighbors nor to the members of their family! May we become men of such spiritual dignity! Oh, if we had such politicians and spiritual leaders! (Neh.5:15). God examines the heart… But, let us not forget that there are people who do what is right, but not with a perfect heart… (2Chr.25:2). May our Lord Jesus, help us to be careful the way we live and build…! (1Cor.3:10). Job: The source of blamelessness, uprightness and of shunning evil of that man of God, as well as the sensation that he was living in God’s presence and “under” His eyes, was but the fear of God in his heart (Job 1:1, 8)! May such a character be formed in us also! Cornelius: The source of the piety of this devout man, of his continuous prayers and his alms to the people were but the fear of God (Ac.10:2). May the same attitude be reproduced in us, Lord! The woman, who poured on Jesus the ointment and who wiped his feet with her hair! Her act remained as a memorial of her! (Mt.26:13) God examines the heart! The early Christians, who, walking in the fear of the Lord, were edified and the Church grew in the comfort of the Holy Spirit (Ac.9:31). The fear of the Lord in their heart did not only constitute the beginning of their wisdom and piety but also of their continuation. When we obey God’s will in the Lord’s fear, then the Holy Spirit comes to help us to develop… and fills us with wisdom and spiritual power!